SWCBB stands for the South West Craft Beer Bogans, who were invited by fellow southwest beer lovers, Bootleg Brewery, to take part in a homebrew competition. The prize: to have your beer scaled up to commercial scale. And the winner was Dave Baker, described by the brewery as a "super confident and passionate homebrewer from Donnybrook" who entered an American brown ale he'd been perfecting for years at home. And now it's out so you can find out what the judges saw in it. 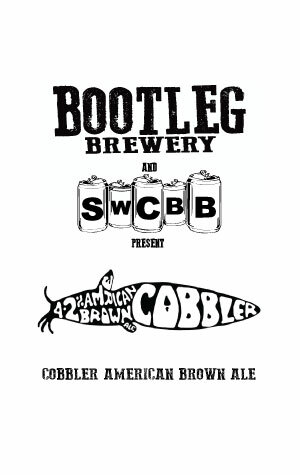 Dave's beer goes by the name The Cobbler and we're told it's "a super balanced and super sessionable American Brown" – deep brown in colour with "an earthy character blended with traditional Citra and Cascade hops for a spicy citrus mix". If you're in WA's South West on October 19, you can sample it at The Firestation from 5pm as part of a Bootleg tap takeover showcasing The Cobbler and Bootleg's new Lager alongside Speakeasy IPA and The Flaming Youth Gose. You can check out our two-part Crafty Crawl guide to the region here and here too.